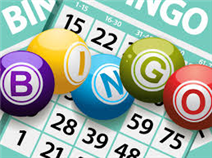 Join Millington Arts, Recreation & Parks for BINGO NIGHT the FIRST FRIDAY of each month starting at 6:00 PM. The cost is FREE. Bingo is for ages 18 and up.